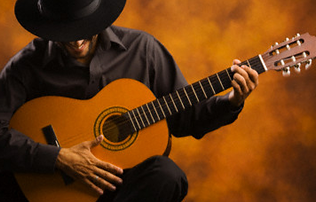 'Una leyenda flamenca' brings the best Flamenco music to ever grace one's ears and Camarón de la Isla with his pure and hard Flamenco voice touches our soul. 1989. 'Soy gitano', first gold disc for Camarón de la Isla in Spain (over 50.000 copies sold). It is no secret that Camarón set a before and after in the flamenco history in Spain. He was a cante revolutionary and his contributions to flamenco are countless, and many of them acted as breeding ground for many other singers that were to come after him. A compilation with some of Camarón's most importanat recordings.